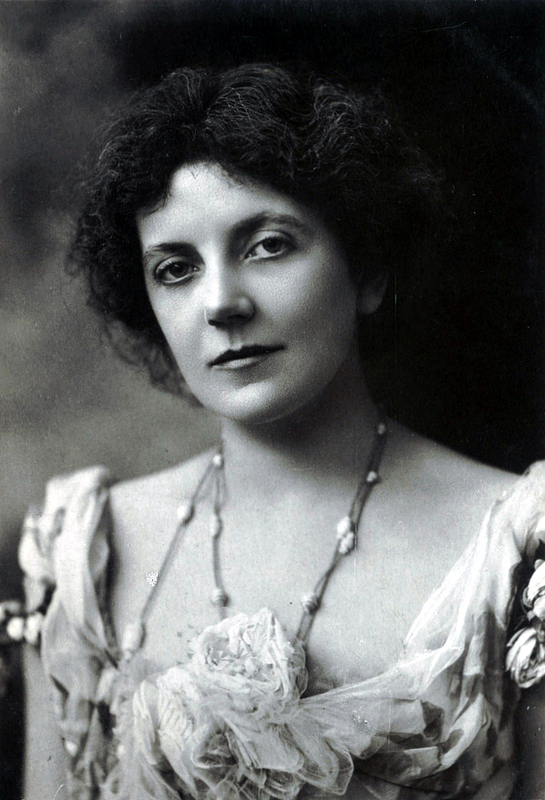 Ashwell, Lena (1872-1957): Born Lena Margaret Pocock, she grew up in Canada and studied music in both Lausanne and the Royal Academy of Music in London before taking up acting. In 1891, she debuted in The Pharisee. In 1895, she appeared in King Arthur with Dame Ellen Terry and Sir Henry Irving. Ashwell went on to appear in a number of Shakespeare productions. In the 1900-1901 season, she played at the Adelphi in Bonnie Dundee and as Lygia in Quo Vadis.